When it comes to parts of speech, nouns comprise the largest part. Nouns are very important in our everyday language for they allow us to label and give names to everything under the sun. A noun is the name of persons, places, or things. As you can see, anybody can name persons and places easily. 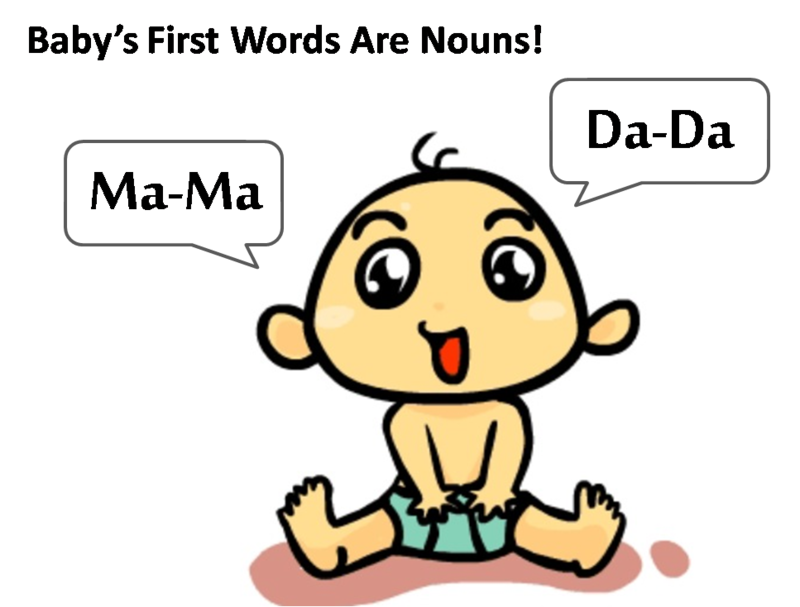 Little do they know it, but babies have been saying their first nouns in their first words. The tricky part comes when it comes to naming things. 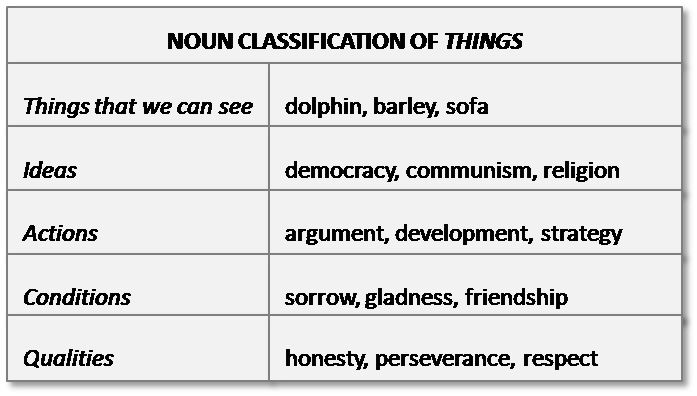 The noun classification for things encompasses not only visible things but also ideas, actions, conditions and qualities. Study the chart below to familiarize yourself with the different nouns for different things. It might help to remember the endings of most nouns like –dom, -ics, -ism, -ness and –ship. What are concrete and abstract nouns? There are some nouns that you can easily see, touch, taste, hear or smell. These are called concrete nouns. Things that you cannot easily perceive with your five senses are called abstract nouns. What are Singular and Plural Nouns? Nouns can also indicate number. 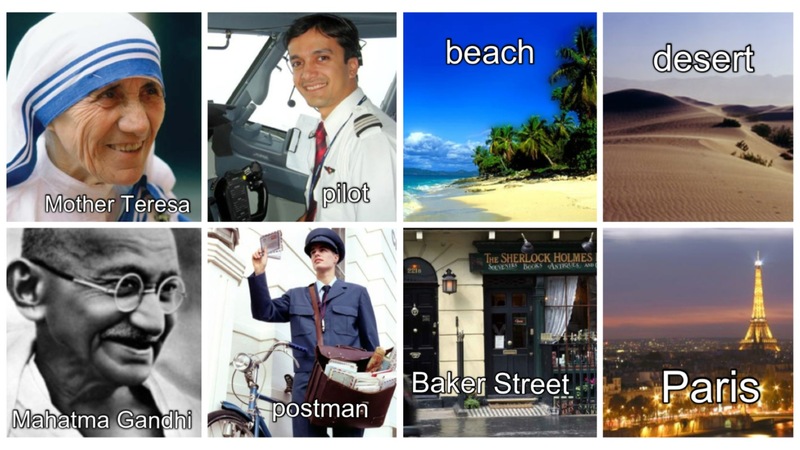 When you name one person, place or thing, you are naming singular nouns. For nouns that indicate more than one, you are using plural nouns. 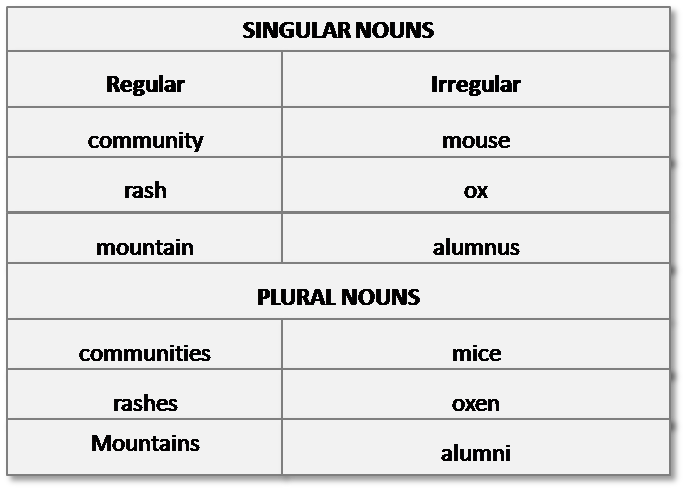 Plural nouns are often formed by adding –s or –es to the singular nouns. However, there are a few nouns that do not follow this rule. For these nouns, you may need to memorize how to convert them from singular to plural. Collective nouns name groups of people or things. 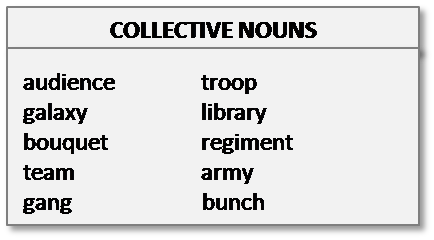 In essence, collective nouns are supposed to be plural but they look singular. In truth, collective nouns can be singular or taken as one whole. 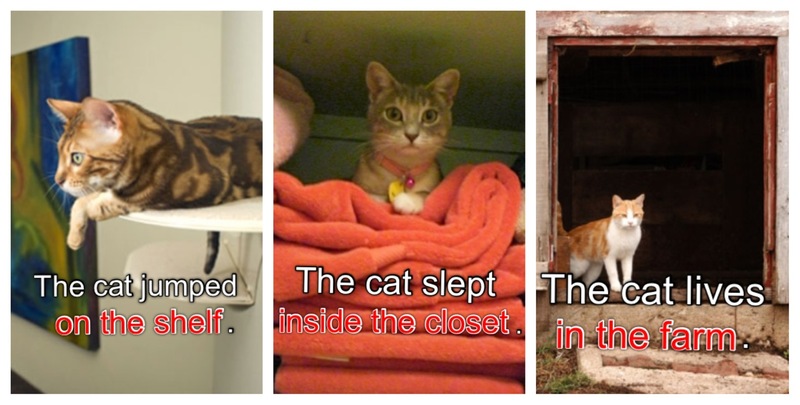 They can also be plural depending on how they are used in the sentence. 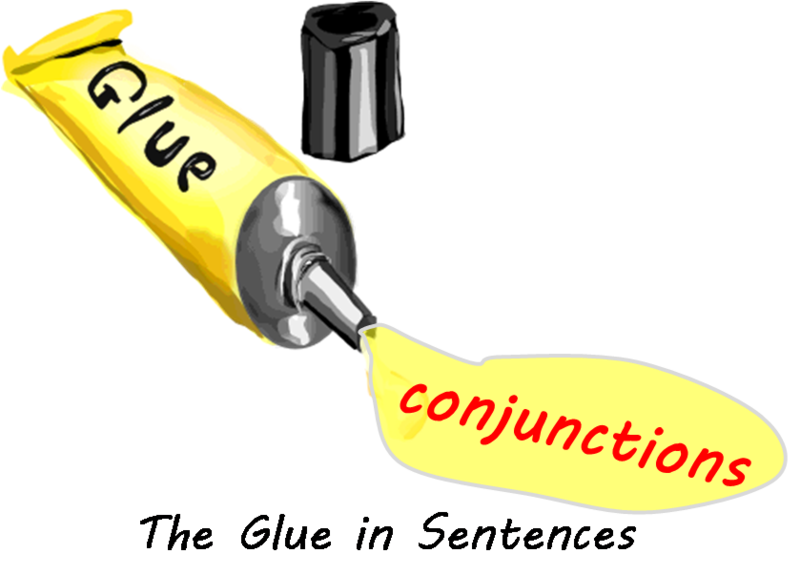 You can compound or join two nouns together to make a specific meaning. For instance, you may join milk and shake together to form milk-shake, which is a special drink made of cold milk and ice cream. Once the compound word is form it may take on a different meaning than the original definition of the individual words it is formed from. This is why compound words are often included in the dictionary especially if it becomes an expression that is generally used. As you can see, compound words may be separated, hyphenated, or combined. What are Common and Proper Nouns? The common classification of nouns is whether they are common or proper nouns. 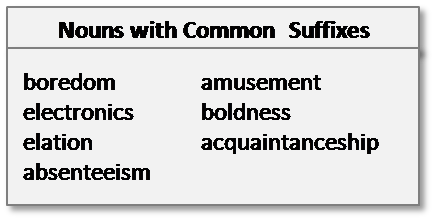 Common nouns refer to a general class or group of people, places or things. On the other hand, proper nouns refer to specific persons, places or things. The first letter of a proper noun is always capitalized while a common noun is not. You also capitalize the first letters of nouns of direct address. The persons you are directly talking to as well as a family title are always included as proper nouns. We have just covered the basics in learning nouns. 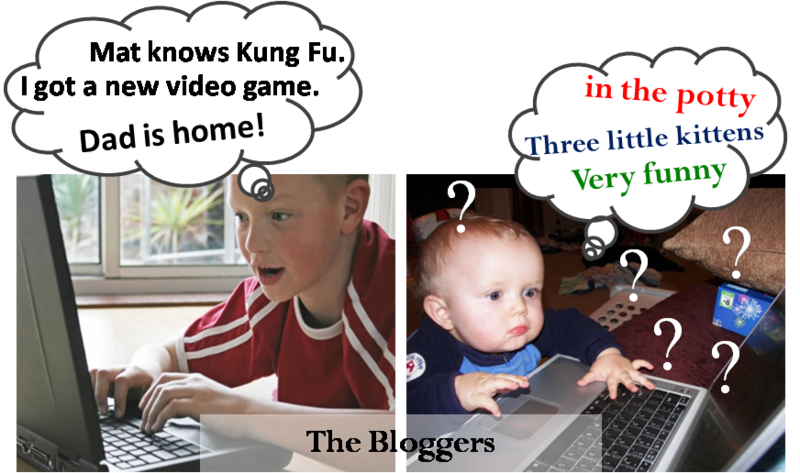 Like infants, we expand our language every day. By learning “What is a noun?” we know more about the various names and labels of things. 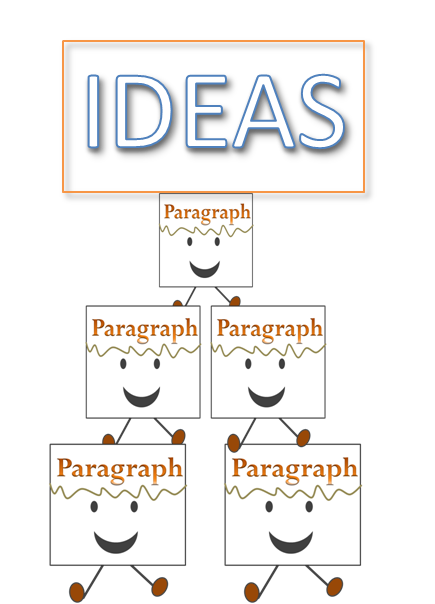 In this way, our speech is greatly improved and our composition becomes more expressive. Copyright © 2013-2020. All Rights Reserved.